British Columbia’s mountains, lakes and harbors offer hundreds of great spring break family getaways. These standout cities and villages provide lots of great indoor and outdoor fun things to do for little kids, big kids and teens. Take a look and let me know if I’ve forgotten any of your favorite spring break destinations. 1. Fernie. Tour historic downtown (including the last standing wooden oil derrick in BC), visit the Fernie Nature Centre and enjoy all sort of great activities. 2. Fort Steele. In East Kootenay, this restored 1890s boom town boasts more than 60 heritage buildings, and spring break demonstrations of tin smithing, gold panning and dress making. 3. Kelowna. Ski and tube at Big White (look at the family spring break packages), visit the Kelowna Art Gallery for free on Thursdays and go for drop-in swim time in the wave pool at H2O Adventure Fitness. 4. Prince George. 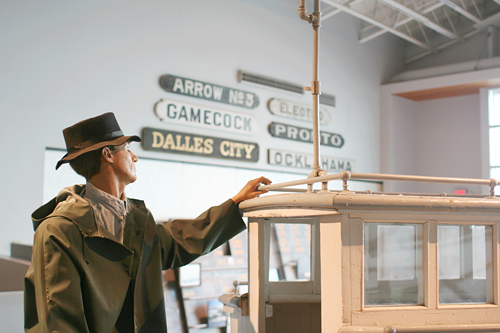 Learn about hands-on science and history at the Exploration Place Museum and Science Center (check out those dino models! ), view constellations at the Royal Astronomical Society of Canada Prince George Centre, play in the sprays, bubbles and lazy river at the Prince George Aquatic Centre. 5. Revelstoke. Chug your way through the Revelstoke Railway Museum, slalom your way down Revelstoke Mountain Resort (where kids stay, eat and play free through March) and tour the Rogers Pass National Historic Site. 6. Harrison Hot Springs. Spring break-themed deals and packages for families abound at Harrison Hot Springs and Resort, on the south shores of Harrison Lake. 7. Vancouver and West Fraser Valley. Visit nearby Fort Langley and hear stories by the fire, learn about historic weapons and then back into Vancouver to visit Kitsilano with kids. If it’s raining? No problem. Check out this list of great rainy day activities in Vancouver. 8. Whistler. You’ll still find fresh powder in the impressive Blackcomb-Whistler community; if you stay right in Whistler village, everything (restaurants, lifts, and activites) is walkable. Ride the Peak 2 Peak, swing at the new playground and oh yeah, ski! Check the Whistler family deals and activities page at the Whistler-Blackcomb site. 9. Steveston. No, it’s not big and fancy or all that far from Vancouver. But this little seaside fishing village has charm to spare, and feels worlds away from the big city. Walking the historic streets feels like a step into a quiet past — so it’s just the right speed for a getaway-from-it-all BC spring break with kids. Stay in Vancouver or Richmond (don’t miss taking the kids to sample the international flavors of Richmond’s Aberdeen Centre) or just visit for the day. Read more at Steveston with Kids. 10. Ladysmith. On Vancouver Island, this laid-back town offers shopping, beach play and a bright red-and-green little trolley. But before you book your destination, review this round-up I wrote on kid-friendly Vancouver Island resorts. 11. Parksville. Also on Vancouver Island, this beach town was made for families. Explore Rathtrevor Beach Provincial Park, go on a self-guided tour of Morningstar Farm, wow over the springtime enthusiasm of Little Qualicum Falls and warm up at Nature World, in the butterfly-dotted tropical gardens. 12. Tofino. Vancouver Island’s western shores offer stormwatching, beaches, movies and even more fabulous kid-friendly excursions. 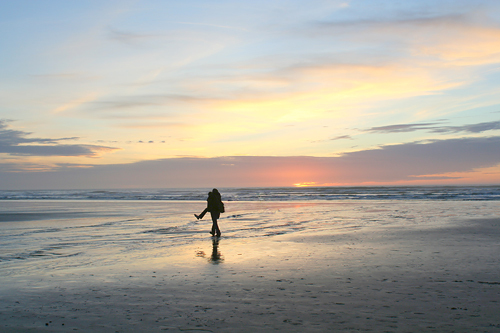 Read more on Tofino with kids, with tips from a Tofino dad. 13. Victoria. One of my favorite destinations if you prefer a pedestrian-friendly spring break; leave the car at home and push the stroller or hold hands in the compact downtown. Enjoy toddler-friendly activities and 35 free and cheap things to do with kids in Victoria. Where should you take the kids for a spring break in the Pacific Northwest? Where can you go without a raincoat, scarf, hat and boots? Below, you’ll read about the March and April temperature and rainfall averages. It’s in Imperial and Fahrenheit, just to keep it all consistent, and the site I used (Weather.com) to compile the information offered that approach first. I’m sorry, Canadians! If you’re desperate for some sun or just a break from the rain, Central and Eastern Oregon are great places for the kids’ spring break. Bend, Oregon is mild, with average March temps of 51 and 57 in April, and about .75 inches of rain. Pendleton, Oregon has a March high of 54 and an April high of 61, and about an inch of rain in each month. Further East, Baker City sees 50 degrees as the high in March, and 58 in April, with a scant .82-.85 inches of rain over the two months. In British Columbia, Penticton sees March average temperatures of 49 and April of 59, with low precipitation (.8-1 inch). But my money for a great spring break might be on Lake Chelan, Washington. This little lakeside town sees warm temps in March (54) and warms up even more (63) in April, with precipitation amounts decreasing from 1.1 inches in March to .68 inches in April. Leavenworth, Washington warms up from March’s 53 high to 62 in April, and daily rainfall drops from 2 inches to 1.1 inches. For a Vancouver Island spring break, Victoria is mild but not too cold and wet — 50 degrees in March, 55 degrees in April; 2.8 inches of rain in March, and 1.7 inches in April. Also on Vancouver Island, Nanaimo’s average high in March is 51 and April is 56, but April sees a giant plummet in rain averages — 4.6 inches in March (that’s a bit too rainy for me) and 2.4 in April. These are good destinations if you want to enjoy some outdoor time (but only Nanaimo in April!). Our region’s big cities are rainy for spring breaks in March and April — but on the upside, there are many wonderful indoor attractions. Vancouver, British Columbia offers 4.3 inches in March and 3 inches in April, 49 degrees as the March high and 54 Fahrenheit in April. In Seattle, the March high is 54 with 3.5 inches of rain, and April isn’t much better — 59 with 2.7 inches. In Portland, it’s a little warmer, but rainier: March has a 56 degree high (and 4.5 inches of rain) and April has a 61 degree high (3.4 inches of rain). Eugene has similar temps to Portland, but it’s much rainier — March offers 4.9 inches of rain, and April offers 3.3 inches. So, if you hate rain, don’t go to the Oregon Coast, which is well-sprinkled throughout March and April. Newport sees 7.75 inches of rain in March and 4.7 inches in April (54 and 56 degrees F, respectively), and Cannon Beach is walloped with 8.7 inches of rain in March, and 5.9 inches in April (53 and 55). Bring a raincoat. Or just give in and wear your swimsuit — everywhere. Sure, some families are heading to Mexico, Hawaii and Florida for spring break. But you don’t have to fly thousands of miles to get your sand fix. Save time and money by checking out one of the five sweet Northwest beaches. Okay, you won’t find 80-degree temps or swim-ready water — not in the spring, at least — but the following destinations offer cool prices to match the chilly days. 1. Family-friendly Cannon Beach, Oregon. Why go? 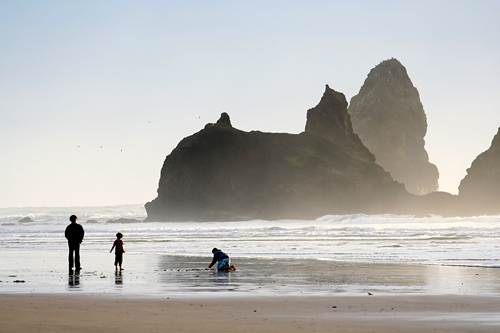 Cannon Beach in the off-season offers mellow charm, mild weather and no summer-crowd insanity. But the infrastructure is ready year-round, whether you want to buy a kite, nosh on Haystack cookies or browse for books. Go tidepool-peeping for anemones and barnacles. Or take it easy –while the kids create sand McMansions, watch the still-gorgeous sunsets from your Pacific-front hotel — at one-third to one-half the price of a summer stay. Why go? If forecasters are calling for rain, Astoria’s Victorian-era architecture and art-rich community is a sure bet. Enjoy great kid-friendly breweries and bakeries, an indoor water recreation center and downtown Astoria’s toy store and comic shop. After visiting Columbia River Maritime Museum, make a splash at the Astoria Aquatic Center. Not far out of town, visit the atmospheric Fort Clatsop, where Lewis and Clark spent their first dreary winter. Then retreat to your heated hotel and praise modern conveniences. 3. Kid-friendly Long Beach, Washington State. Why go? On Southwest Washington’s tip, Long Beach hosts funky curios like Jake the Alligator Man, chainsaw-carved logs and beachfront houses with eccentric decor. Personally, I love the house with hundreds of buoys displayed out front. 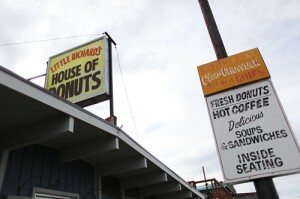 But beyond the video games, go-karts and beach trappings (and kids love all of it), you’ll also find an amazing foodie community’s restaurants in Long Beach and neighboring towns of Ilwaco, Seaview and Nahcotta. 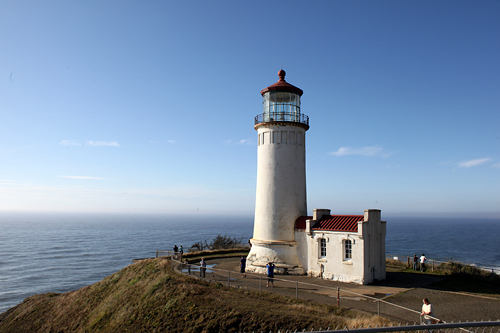 And gentle hikes through Cape Disappointment State Park provide see-forever views of the Pacific Ocean before you come upon a stately lighthouse. Sites to explore: Long Beach Peninsula Visitors Bureau and Bailey’s Bakery and Cafe, which serves up some of the best baked goods I’ve ever enjoyed. Why go? The furthest south (a little over 120 miles from Portland), Newport embodies that taffy-in-your-teeth memory of childhood beach vacations. Fly kites, ride bikes on the beach, tread water in the Oregon Coast Aquarium’s underwater tunnel, or go whale-watching in the early spring. The Oregon Coast is famous for great crabbing and clamming, plus warm, California-sent breezes. Although spring brings iffy weather, nothing could ruin that fresh batch of caramel corn and bubblegum-flavored taffy. Why go? Westport’s rocky shoreline is about as far as you can get from the silky sands of Mexico or Cannon Beach’s art galleries. But that’s part of the fun — this is old-world Washington, rugged and unrefined. Pick through sea-smoothed rocks for a favorite, walk down Westport’s tourist-tacky marina, and down a cup of hot clam chowder at Merino’s Seafood. In winter and spring, watch storms create spectacular, crashing walls of water. What’s your favorite taffy flavor?